Compelling and substantive content to shape a brand, pairing words with design. Conveying a business message to raise capital and make a first impression. 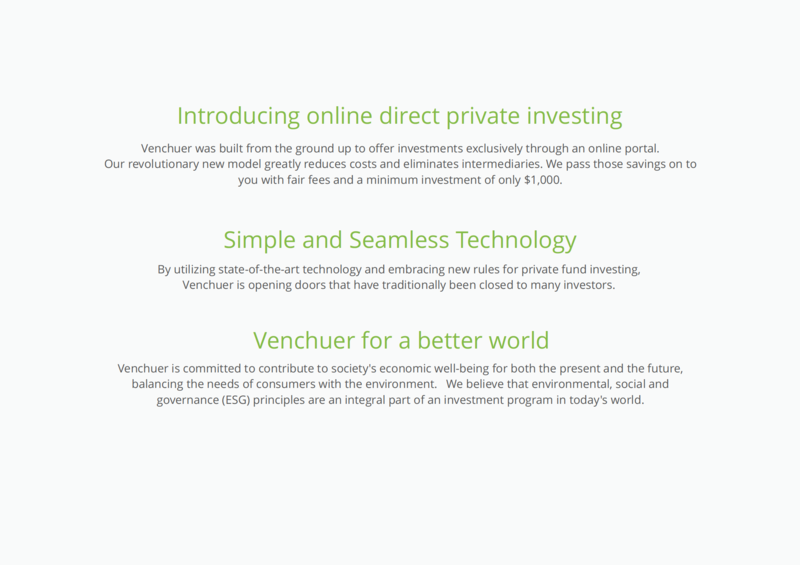 Developed an overview of Venchuer's investment philosophy, competitive positioning, and value proposition. 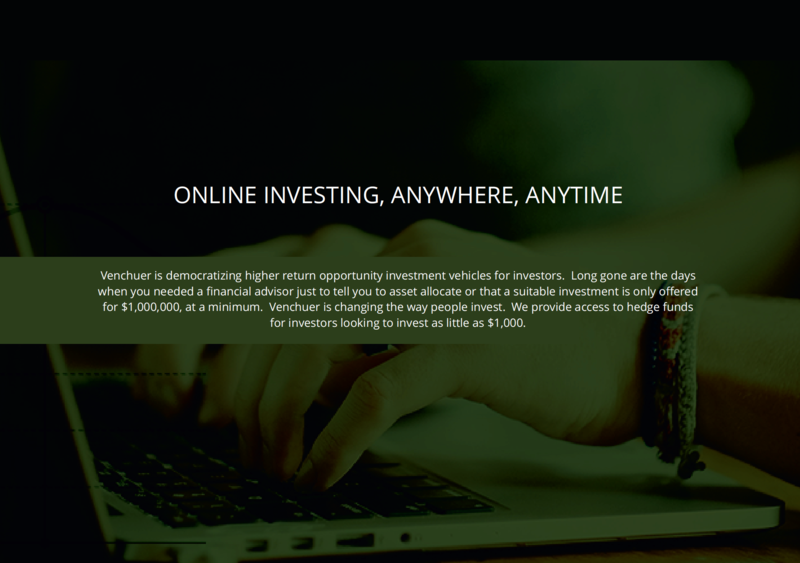 High quality, in-depth content to position the business as a thought leader in finance. 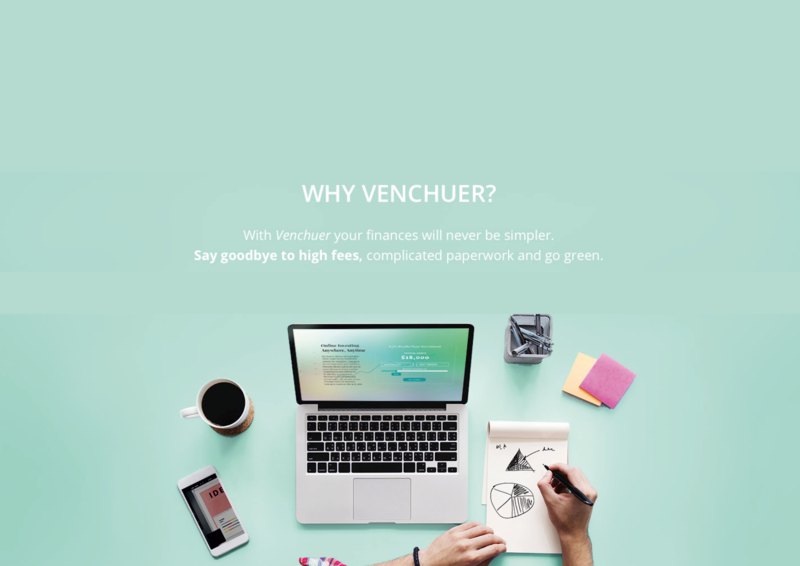 Wrote an ebook for Venchuer to inform their audience and serve as an editorial calendar to parse and expand themes for blogs and ongoing conversation. The paper relied on a penchant for developing well-researched content that educates. 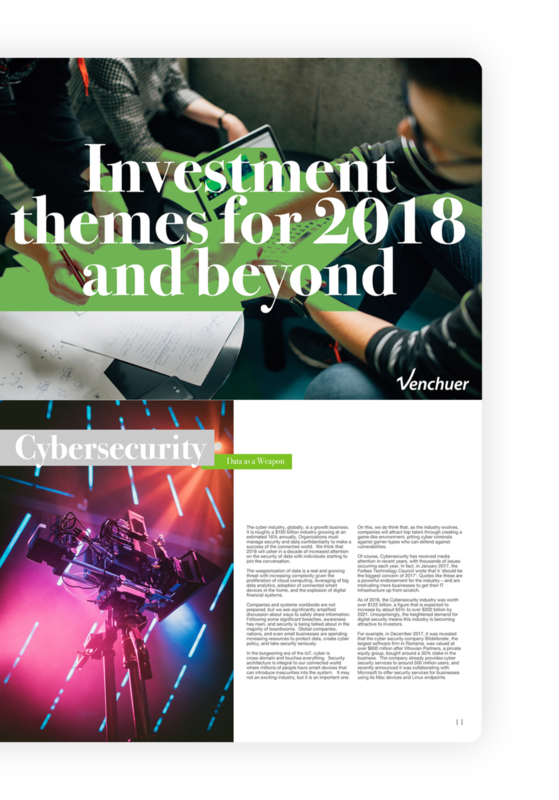 Investment themes for 2018 and beyond. 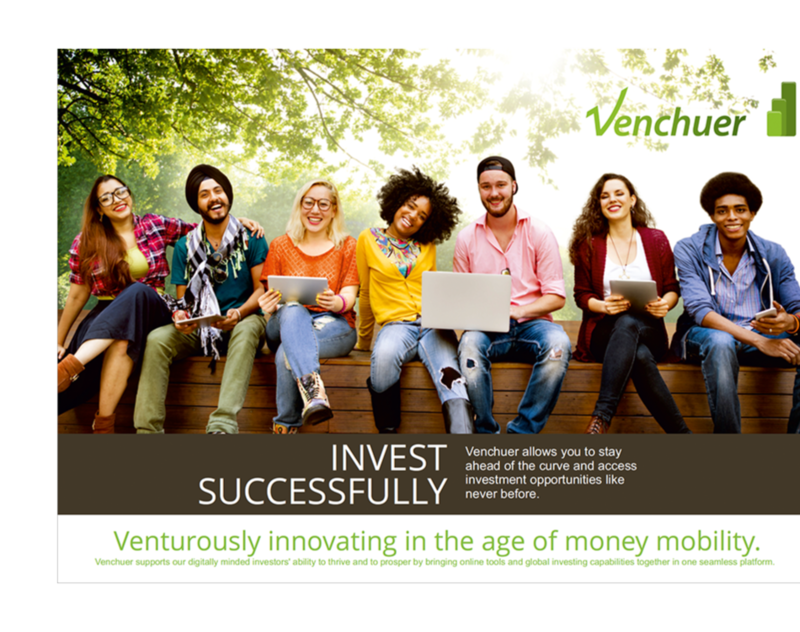 In this ebook, we covered some of the long-term trends shaping investment decisions, from the evolution and densification of the workplace to the massive, globally connected infrastructure, and the weaponization of data.